Ansley Designs: Can You Wash a Vinyl Glitter Mug, Glass, Tumbler etc in the Dishwasher?! 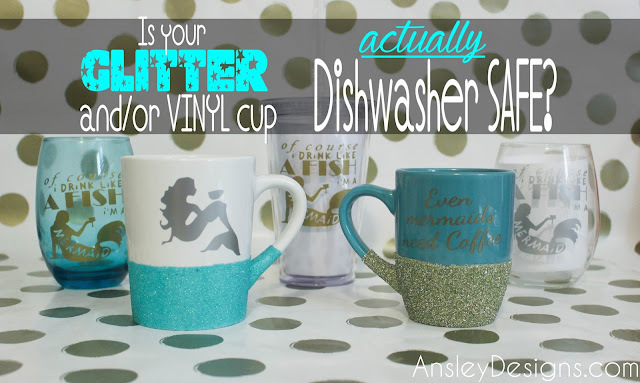 Can You Wash a Vinyl Glitter Mug, Glass, Tumbler etc in the Dishwasher?! I've been making glitter mugs in my etsy shop for a while (and now I have tumblers and stemless wine glasses, too!). 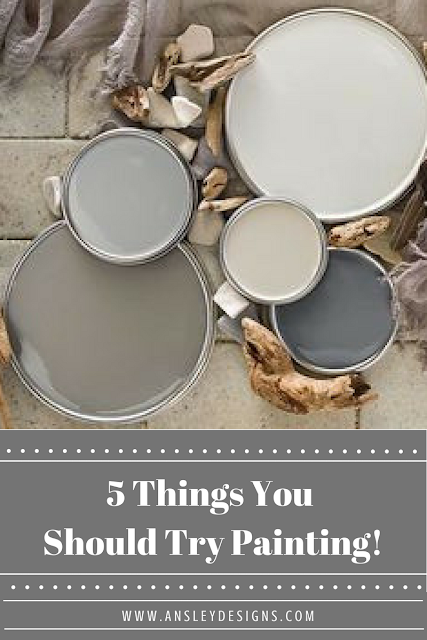 Right when I started, I searched online to see if I could market my items as dishwasher safe. I mean, the vinyl I use is "permanent" outdoor vinyl. 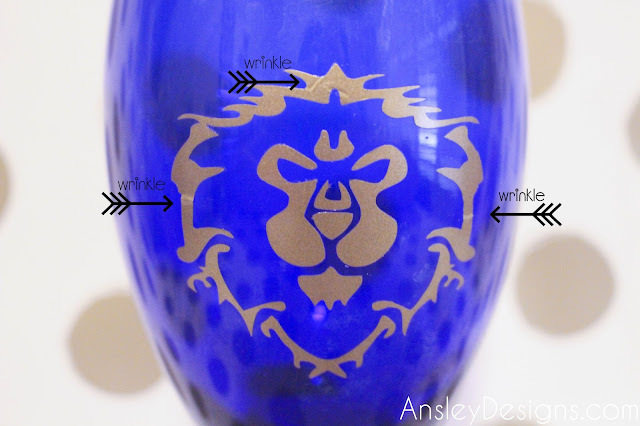 I also use "dishwasher safe" mod podge to apply and seal my glitter. Sounds like a huge green light for the dishwasher! Explaining my "yes" answer. 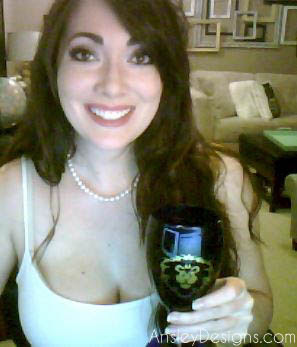 I have a wine glass, that I added a decal to on a whim one day. I'm lazy and hate hand washing anything, and this glass would just sit by the sink dirty. So, I ran it through the dishwasher and it came out fine. VICTORY DANCE! The vinyl is still MOSTLY fine. It has wrinkled in a couple of places, as you can see. So it definitely affects the quality of the vinyls adhesion. Not to mention, now water will be able to get behind the vinyl where it is wrinkled. I suspect it's just a matter of time before it messes up to the point of just needing to be removed. I also have this glitter mug. Same story. Dishwasher ---> VICTORY, dishwasher ---> VICTORY, dishwasher ---> VICTORY DANCE! Part of the vinyl on the Alliance insignia came OFF. So I just removed that side completely, set it in my guest/craft storage/junk room until I was ready to put a new decal on. It's still sitting there. What I did notice as it sat among my other mug projects, was the glitter. The glitter stayed perfectly intact through all of my dishwasher escapades. However, it faded SIGNIFICANTLY. You can see it next to a non dishwashed glitter mug. The difference is huge in person, but you can see that the vibrancy of the color has diminished. It's really up to you if you want to risk it. The fading and vinyl issues I experienced did NOT happen after just one run through the dishwasher. If you're desperate one day and want to pop it in, you may be fine. I'm more likely to take the chance because I can just make a replacement decal if mine messes up. However, if I paid $15 for a mug on etsy that thing is never going in the dishwasher! lol I also won't put any of my glitter glassware in the dishwasher because I don't want it fading all ugly. PS. if you want to buy a $15 mug from my shop, but don't want to pay $15. 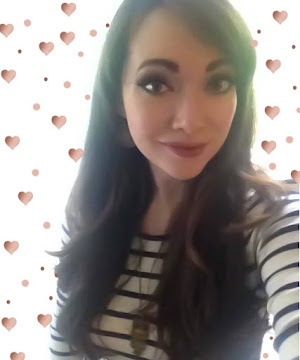 Follow me on social media (Facebook - Twitter - Instagram) then message me on social media or etsy for $5 off your first purchase!